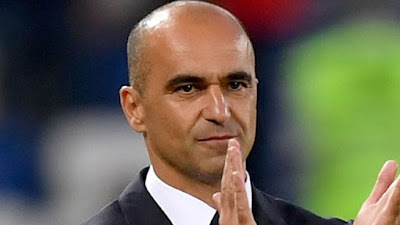 Belgium’s former Everton manager Roberto Martinez has said all their focus is currently on preparing for the match against Japan in the last 16. He said this when being pressed by reporters about how he felt that Belgium have now entered the side of the World Cup draw that has been labelled the ‘tougher’ route to the final. Martinez pointed out that England now have to face Colombia, and that the game against Japan won’t be as easy as people are making it out to be. Martinez proclaimed that Japanese football is strong and they are a very technical side. Martinez pointed out that Japan and Belgium played a very entertaining game not so long ago in Bruges, Belgium came out on top in that game winning 1-0. Martinez however acknowledged that a lot has changed in the Japanese set up since that game. Halilhodzic’s Japan and Nishino’s Japan are a different beast, where Halilhodzic emphasized that Japan play mainly with hard work, grit and determination; Nishino has took Japan back to playing a style of football they’re more used to, and some would argue more suited to playing. It is clear not a lot can be read into that match played out in Bruges where Romelu Lukaku got the winning goal, that’s because Japan’s style of play has changed so much since then. In the words of Martinez, Japan are a really dynamic team, they are very well organised and technically structured. He also said Japanese football is very strong and they expect a competitive game, and ended what he was saying by making it clear there won’t be any surprises for both teams when they meet in the last 16. Belgium are the clear favourites to win this tie, but it sounds like Martinez has done his homework on the Japanese already and knows exactly what to expect from the game. Nishino will know all about Belgium too, and it is going to be an intriguing encounter that we hope Japan can win. Japan will head to Rostov to face Belgium in the last 16.